Offering great hole in one insurance prizes at your golf tournament is essential to keeping your golfers happy and excited to come to your event year after year. We have compiled a list of some popular prize options and sample pricing that are sure to excite your golfers. Also, don't forget that we can cover any prize you can dream up! 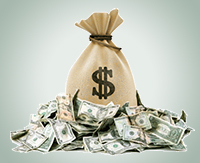 Be sure to call one of our contest consultants for exact pricing and further details. Prices subject to change without notice. 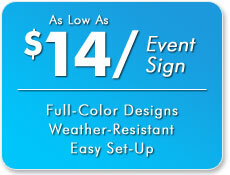 If you have a unique prize you would like to offer at your golf tournament, we've got you covered! 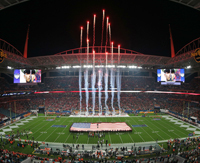 We can insure anything from concert and sporting event tickets to vehicles and vacation packages. Minimum prize value of $2,000. Be there for the biggest football game of the year! Whether your favorite team is playing or not, the chance to attend is an experience you'll never forget. This package includes 2 tickets to the Super Bowl. Airfare and lodging not included. Be whisked away to fabulous Pebble Beach. Home to the most famous golf course in the U.S.A., Pebble Beach is sure to please any golfer. 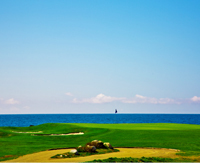 This package for two includes accommodations for four (4) nights at the Lodge at Pebble Beach, and rounds of golf at Pebble Beach, Spyglass Hill and Spanish Bay. Airfare included too. 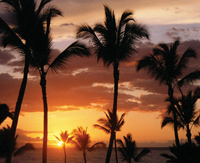 Spend 7 nights at the luxurious Hapuna Beach golf resort. Located on the Big Island of Hawaii, Hapuna Beach is one of the most popular golf resorts in Hawaii. 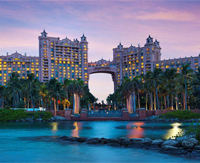 Package includes accommodations in an oceanfront room, golf and airfare for two. Experience the magic at Disney's Contemporary Resort for 6 nights. 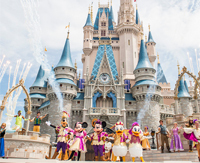 Package includes award-winning dining, spectacular views, access to multiple pools and a waterslide, monorail transportation directly to the Magic Kingdom, tickets to the park each day and airfare for four. 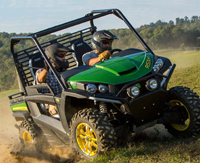 Whether you are riding the trails or cruising around the ranch, the Gator RSX860 has performance, power, and speed that can't be matched. Speeds up to 60 mph, 400 lbs. of cargo, 4-wheel drive and more. 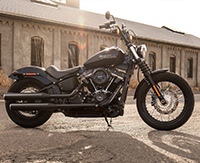 Hit the streets in your new Harley-Davidson Softail Street Bob Motorcycle. With a reinvented frame and classic Softail lines, this lightweight Harley rides unlike anything you've felt before. See golf's most famous championship! 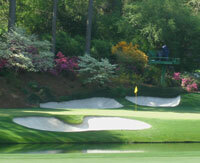 This package sends you and a guest to Augusta, Georgia, the home of the Augusta National Golf Club for five (5) nights. Embark each day to the tournament to see all of the action with this package that includes airfare for two, lodging, transfers, and passes to all four rounds of The Masters. 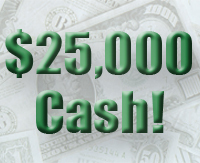 This package awards your lucky golfer(s) with $25,000 Cash! Everyone likes cash and therefore this prize package is sure to be a crowd pleaser at your next event! Drive away in one of America's most popular trucks. 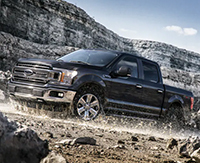 The Ford F-150 XLT has it all! New 3.0-liter diesel powered V6 engine, 290 horsepower, 4-wheel drive, chrome grille, 17-inch wheels and much more! A ride so smooth, you won't feel like you're in a truck. 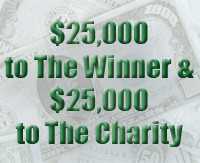 This package awards your lucky golfer(s) with $25,000 cash and $25,000 to a charity of your choice! This prize package is sure to be a crowd pleaser by rewarding your golfer(s) while also contributing to a great cause! 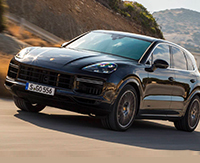 This package includes the purchase of a brand-new Porsche Cayenne S. With its turbocharged engine and dynamic design, the Cayenne will turn heads everywhere you go. The combination of luxury and sport performance makes this the perfect German SUV. Powerful V6 engine, impressive handling and a spacious interior. Who hasn't dreamed of owning a Range Rover? 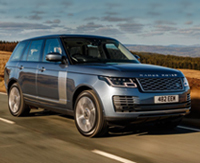 Rule the road in your brand-new Supercharged Range Rover. 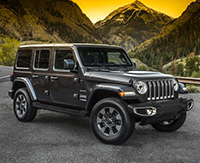 This stylish SUV features a 3.0-liter V6 engine, leather seats, touch pro navigation system, 19-inch wheels and park assist. 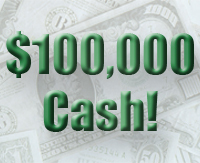 This package awards your lucky golfer(s) with $100,000 Cash! Everyone likes cash and therefore this prize package is sure to be a crowd pleaser at your next event! The Tesla Model X 100D is an SUV unlike any other on the road. 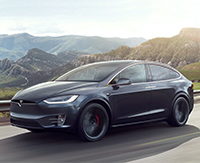 Famous for its "Falcon Wing" doors, the aerodynamic Model X features a futuristic sleek design including a unique windshield that extends uninterrupted to the roof, enhanced autopilot capability, impressive electric range and Dual Motor All-Wheel Drive making for a smooth ride in all weather conditions. 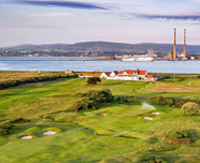 Customer Service | Client List | FAQ/Help | Resources | Archived Prizes | Copyright ï¿½ US Hole In One. All rights reserved.